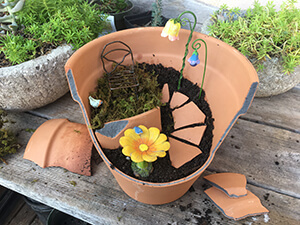 Make your own of creative garden arrangements and fairy gardens out of broken pots, proving that even a broken pot can be useful and beautiful. They add such a nice touch of whimsey to the yard-scape. 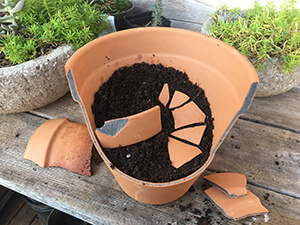 We patiently waited for a broken pot from the Tower & Gift Shop but if you don’t want to wait, time to break some pottery! 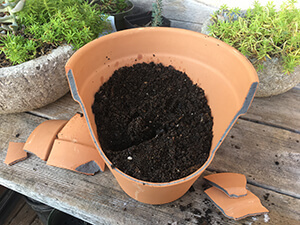 Grab a pair of goggles and carefully take a hammer to some terra cotta pots. 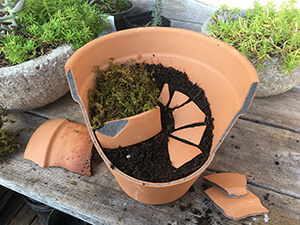 Here are step-by-step photos of how to start a broken potted plant, reincorporating the broken pieces as an entirely new addition, including little steps made of planter-peices. So what’re you waiting for? 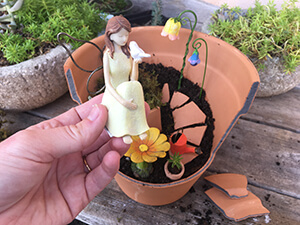 Get started on your own charming and beautiful fairy gardens and discover how much fun you can have with your imagination and creativity. There is a big array of miniature fairies and accessories, including everything found in this tutorial, in our Tower & Garden Gift Shop! 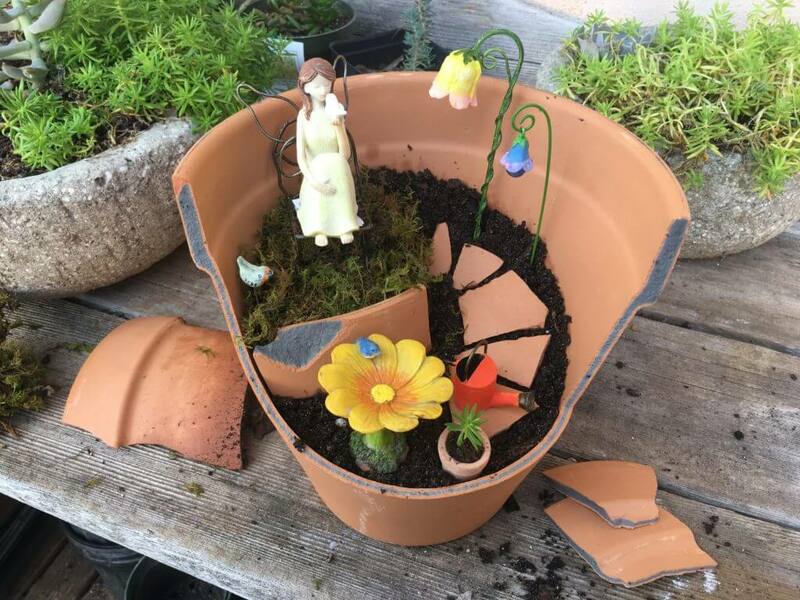 All you need is a broken pot, fairy accessories from our Tower & Gift Shop, and your imagination! Add some greenery with a little moss foliage, some succulents, or search your own garden for plants and flowers. A whimsical flower lamp will add enchantment and welcome fairies to your garden. Fairies can find rest on this charming metal chair and observe nature visiting the bird bath. 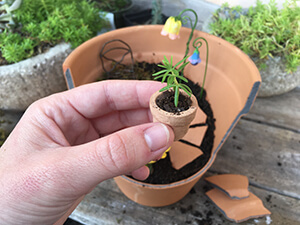 These tiny clay pots make a lovely container for a tiny plant or flower. 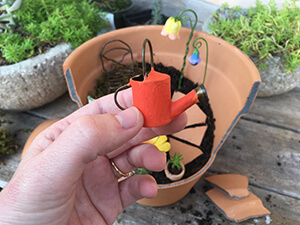 Even a watering can will add fun to your fairy garden if it is a bold fiesta color. A fairy garden would not be complete without a fairy.